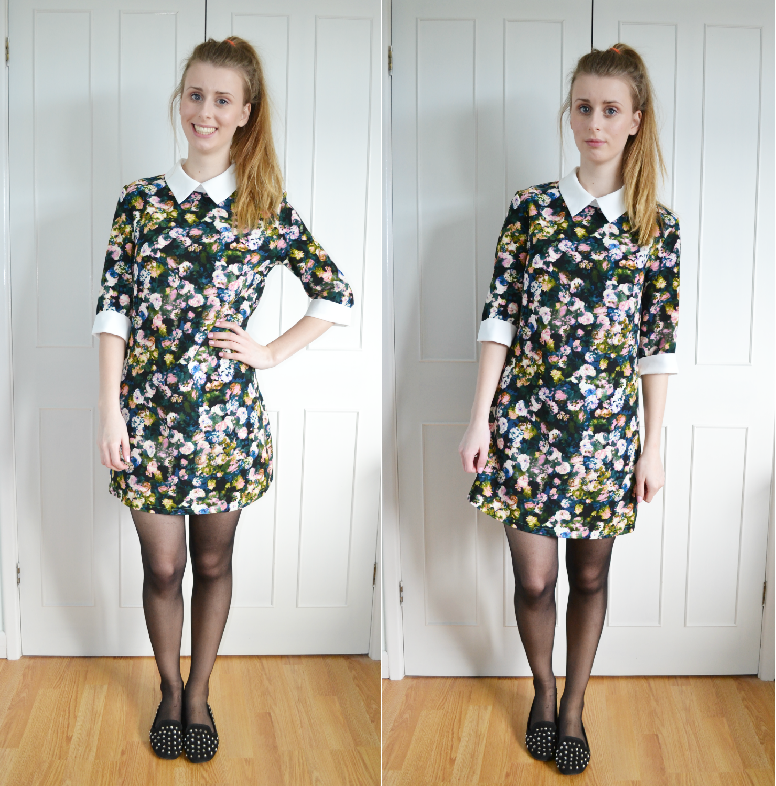 I adore these cute little shift dresses with the collar at the moment. They’re easy to wear and I love the floral print of this one. My study leave starts at the end of next week and my exams begin the week later so I’m feeling pretty nervous at the moment and have my head down working hard! I’m really excited to finish my exams in June and hopefully spend some more time on my blog. I really want to get the photography right and at some point are hoping to get a domain, change up my design and (maybe) rename as lucycole.com/co.uk are taken, help me out guys?! Do you have any ideas for a blog name?